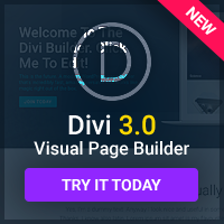 If you follow this blog regularly you know that I´ve being posting once in a while about the popularity of the Divi theme, as it was reaching new milestones. My last post about this was published on September 13, 2014, after Divi became one of the Top 10 WordPress Themes. Today I´m glad to announce that Divi did it again and has just become one of the Top 5 WordPress Themes. What I´m using to analyze the popularity of WordPress themes on these posts are the WPThemeDetector statistics used to generate the Top WordPress Themes reports. 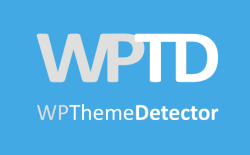 People use the WPThemeDetector online tool to find out what theme is being used by a site they like, and many times it happens to be Divi. That´s people at random from all over the world, and we´re talking about thousand of searches being performed every day, so the information is quite reliable from the statistical point of view. Furthermore, you´ll realize that the popularity of Divi is even greater than it may appear if you take into account that older themes had been around for a longer time, therefore collecting more historical finds than a theme that was released a little more than a year ago. To become one of the Top 5 WordPress Themes, climbing these new 5 positions from the #10 where we left it last September, Divi also had to beat some other very popular themes such as OptimizePress, Twenty Eleven or Canvas. 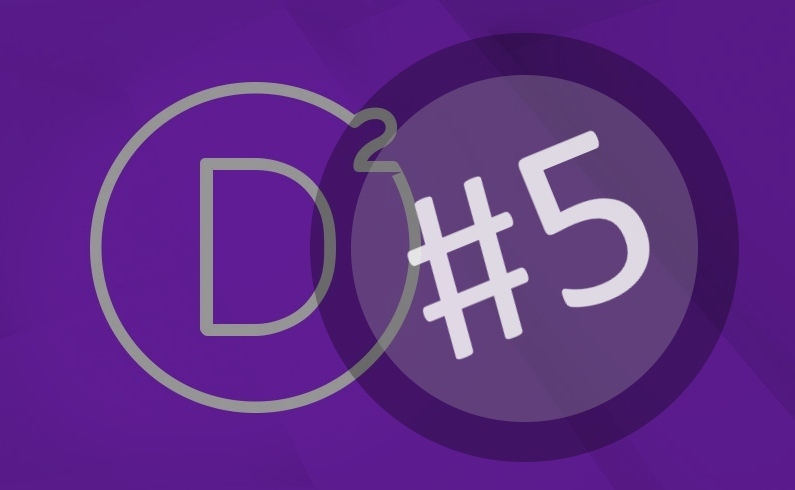 September 10, 2014: Divi becomes one of the Top 10 WordPress Themes, reaching #10 after beating Twenty Ten, Twenty Thirteen, Responsive, Headway and Twenty Fourteen. 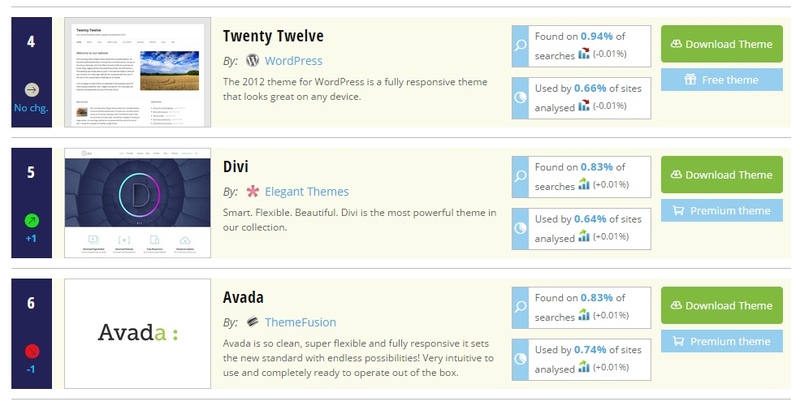 January 31st, 2015: Divi becomes one of the Top 5 WordPress Themes, reaching #5 after beating Avada, OptimizePress, Jarida, Twenty Eleven and Canvas. So what is your bet for the next step? Please let us know via the comments. I doubt the aging Twenty-Twelve theme will hold up against the Divi juggernaut for too long! Divi is great as long as ET support don’t relent. Hence, once version 3 comes out and the switching palaver raised by Chris Lema is fixed, I see Divi in no1 position. If the switching not fix, I see her in 2nd/3rd position. Thanks Alejandre.